Real Madrid boss has suggested that there could be ‘changes’ to the playing staff at the Santiago Bernabeu ahead of next season. Los Blancos have endured a frustrating campaign thus far and currently sit third in La Liga, 14 points behind current leaders Barcelona. They were also eliminated out of the Champions League by Dutch outfit Ajax. 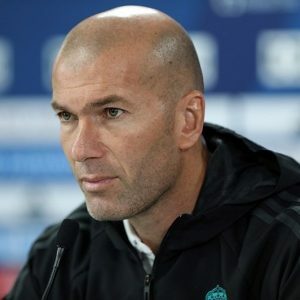 Zidane, who replaced Santiago Solari in the hot seat with his return, has suggested that there could be a mass overhaul this summer. He said: “All my players are important and good, but we are going to make changes. Gareth Bale looks to be one of the most likely to be considered for an exit having scored only eight La Liga goals this campaign. Despite having more than three years left to run on his current contract, the bookmakers have Manchester United as favourites for his most likely destination should he choose to depart the Spanish capital. The Welshman can be backed at odds of 7/2 with Paddy Power to sign with the Old Trafford club by the end of the summer transfer window.